Dr. Barbra Iglewski is Professor of Microbiology and Immunology and Director of International Programs at the University of Rochester Medical Center. 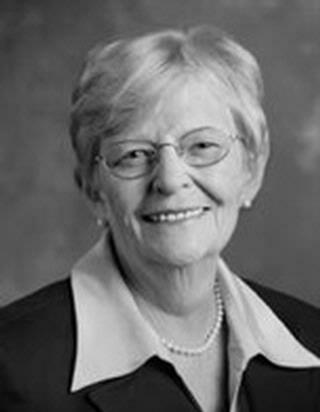 She was the Chair of the Department of Microbiology and Immunology from 1986-2009 and the Vice Provost for Research and Graduate Education at the University of Rochester from 1995-1998. Dr. Iglewski has made many important contributions to the field of Pathogenic Microbiology and is best known for her elucidation of the molecular mechanism of action of Pseudomonas toxin A, the discovery of various other toxins and exoenzymes including the first type 3 secreted Pseudomonas toxin (exo S) and her landmark discovery that a type I quorum sensing system was a global regulator of virulence in a human pathogen. Dr. Iglewski has published over 150 research papers and book chapters and served as an editor of a number of books including the Encyclopedia of Microbiology. Dr. Iglewski is recognized by the Institute of Scientific Information as a highly cited scientist. This group comprises less than 0.5% of all publishing researchers. Her current research projects, supported by a merit award from the NIH, focus on the regulation of virulence and biofilm development in Pseudomonas aeruginosa. Van Alst NE, Wellington M, Clark VL, Haidaris CG, Iglewski BH. "Nitrite reductase NirS is required for type III secretion system expression and virulence in the human monocyte cell line THP-1 by Pseudomonas aeruginosa." Infection and immunity.. 2009 Oct 0; 77(10):4446-54. Epub 2009 Aug 03. Wagner VE, Iglewski BH. "P. aeruginosa Biofilms in CF Infection." Clinical reviews in allergy & immunology.. 2008 Dec 0; 35(3):124-34. Morici LA, Carterson AJ, Wagner VE, Frisk A, Schurr JR, Höner zu Bentrup K, Hassett DJ, Iglewski BH, Sauer K, Schurr MJ. "Pseudomonas aeruginosa AlgR represses the Rhl quorum-sensing system in a biofilm-specific manner." Journal of bacteriology.. 2007 Nov 0; 189(21):7752-64. Epub 2007 Aug 31.